Learn about antioxidants, better food choices and why you need NuMedica Total Vegan Vanilla! NuMedica Total Vegan Vanilla as a Substitute for Diet Drinks? Try NuMedica Total Vegan Vanilla in these great-tasting, healthy smoothie recipes! The addition of ingredients like suma root provides health benefits such as protection from physical and emotional stressors while the addition of ocean algae (AlgaeCal) adds extra calcium and magnesium to your diet. Choose from the three available sizes: 14-serving canister, 6-pack or single serving. The 6-packs and single serving sizes are super-convenient for on-the-go in the early mornings when you are rushing out the door, or for travel, or for a convenient meal replacement or snack at work or school! 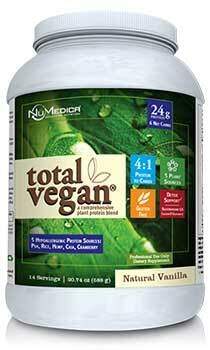 NuMedica Total Vegan Protein Vanilla is a delicious blend of five plant proteins: pea, rice, hemp, chia, and cranberry. These hypoallergenic, vegan proteins are combined with healthful ingredients designed to support bone health and the immune system and can even enhance the digestive tract by improving the detoxification process. Of course, each plant protein provides its own unique benefits to the body. Both the pea and rice proteins promote muscle growth. The organic hemp protein not only supports muscle mass, but may boost immunity and provide anti-fatigue properties (providing you with more natural energy). The chia protein supports endurance; people who take chia protein supplements also report feeling fuller longer and experience better hydration. Finally, cranberry protein is known to support the health of the urinary tract and provide antioxidant protections. Pea protein is a highly digestible, hypo-allergenic protein source. It is increasing in popularity as a vegan protein source because of its high levels of the essential amino acid lysine, as well as arginine and the branched chain amino acids leucine, isoleucine and valine. Pea protein has the ability to boost nitrogen retention and has been shown to have positive effects on cholesterol and triglycerides. Pea protein is also ideal for weight conscious diets based on low glycemic index and high protein intake. Rice protein is another popular protein highly touted as hypo-allergenic and easy to digest. The specific rice protein used in a Total Vegan Protein Shake is a premium form of rice protein. The advanced processing method used allows for a higher potency of protein, finer particle size, and cleaner taste than most other rice proteins, making artificial star or sweeteners unnecessary. Rice protein includes all eight essential amino acids for building muscle mass and complements pea protein well due to its small amount of lysine. Rice protein is high in arginine, which is easily converted to nitric oxide for increased blood flow, and glutamic acid. Hemp is considered a complete protein, meaning that it contains all of the essential amino acids in quantities and ratios that meet the body's needs. About 65% of the protein in hemp is edestin, a plant globular protein resembling the globulins found in human serum and is used to manufacture antibodies. 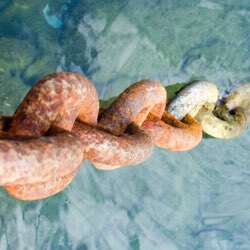 This unique feature of hemp protein provides immune system support without the animal blood derived IgG. The remainder of the protein in hemp is albumin, a free-radical scavenger. Hemp contains important omega-3 and omega-6 fatty acids and is a good source of fiber. The hemp in Total Vegan is produced using a special cold-press process to ensure its valuable nutrients and enzymes remain intact. Chia Seed is a unique vegan product that contains protein, omega-3 fatty acids, soluble and insoluble fiber, antioxidants, vitamins and calcium. These nutrients provide both quick energy and sustained energy for later use, and can help to build strong bones, nails, hair and skin. Chia seed's fiber absorbs more than 12 times its weight in water, which may help promote prolonged hydration and enhance endurance. 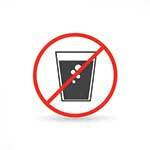 Proper hydration and electrolytes can also optimize the body's ability to absorb other nutrients. Cranberry is another unique source of protein that also includes antioxidants and immune support. The cranberry in a Total Vegan Protein Shake is a special concentrate of high-quality protein that is processed at a low temperature to preserve all of its healthful benefits. Cranberry is well known for its urinary health benefits due to its anti-bacterial agents. 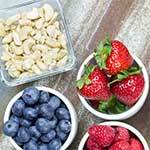 It is also a good source of soluble and insoluble fiber and omega-3, omega-6, and omega-9 fatty acids. In addition, cranberry contains carotenes, flavonoids, tocopherols, tocotrienols and anthocyanins. NuMedica's patented BrocColinate, offering high amounts of sulforaphane glucosinolate, along with Calcium D-Glucarate, have been added for powerful Phase II detoxification support. Therapeutic doses of suma root and arabinogalactans are provided for digestive and immune system support. Suma root has powerful adaptogenic qualities that aid the body's ability to resist physical, biological and emotional stressors. For optimal weight management, Medium Chain Triglycerides (MCTs) are included for their ability to promote thermogenesis in the body and thereby contribute to an enhanced metabolism. 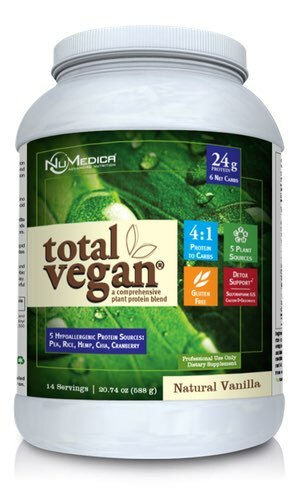 Vanilla Total Vegan Protein (Canister) 2 Scoops (44.3 g) 14 Stir or blend two scoops (44.3 g) into 10-12 ounces of cold water or as directed by your healthcare practitioner. To increase sweetness, use less water. To decrease sweetness, add more water. 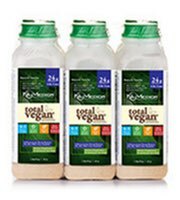 Vanilla Total Vegan Protein (6-Pack/Single) 1 Bottle 1 Add chilled water and shake. Ingredients: NuMedica's Total Vegan® Proprietary Protein Blend (pea isolate, rice concentrate, organic hemp, chia seed, cranberry fruit), natural vanilla flavors, evaporated organic cane juice, xylitol, arabinogalactans, l-glutamine, steviol glycosides, BrocColinate®, Aminogen®, medium chain triglycerides, AlgaeCal®, taurine, calcium d-glucarate, suma root 4:1 powder, sodium, natural alpha-tocopherols. AlgaeCal® is a registered trademark of AlgaeCal, Inc.